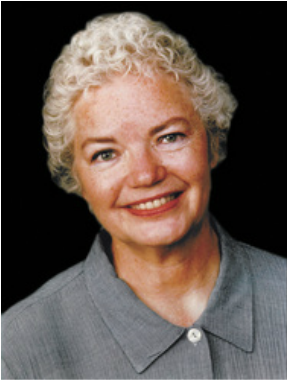 While ridiculing our legislature, Molly Ivins’ twangy turns of phrase make her one of Texas’ sharpest pundits. The six-foot tall Lubbock native has never conformed to the norms of Southern womanhood. However, just being handsome and feisty doesn’t automatically make her a lesbian. They said, ‘Oh, just tell them that you are,’” Ivins laughs from her South Austin home. “Every now and again, I’m startled when somebody assumes that I’m a lesbian. I was there at the beginning of the second wave of feminism in the mid-’60s. And in those days, if you said you were a feminist, people thought you believed in free love and were against marriage — meaning you were an easy lay. Now when you go on college campuses and say you’re a feminist, people assume you’re a man-hating lesbian. Ivins’ work has always leaned toward the cutting-edge of social change. But her foremost concern is how money mixes with politics. The tragedy is there are people absolutely committed to improving education, fixing the health care system, or doing something about AIDS. Well, it just never happens. Because who’d want to learn about something so inside-baseball-sounding as 'campaign finance reform? '” Ivins says. “Of course, the root of the rot is money. The other item on Ivins’ docket is encouraging folks to participate in politics. She says grassroots volunteering is more effective than brushing shoulders with national candidates. “I was sort of looking at the universe of potential Democratic presidential candidates and just going, ‘Ewww ...’” she cringes. “It’s not who we run for president. I’m absolutely convinced that what we do at the bottom matters more than what we do at the top. This 'Take Back Democracy' thing is going to be done stone by stone by stone ... by people starting at the local level. When she’s not focusing on deadlines, Ivins trots around the country, like a missionary hell-bent on bringing the party to politics. “Everyone thinks, ‘Oh, what are we going to do? Go somewhere and stuff envelopes all day? Well, sometimes it’s like that. But the company you keep while stuffing envelopes for a good candidate is worth the price of admission. It’s a great way to meet people,” she explains. “Just have fun with politics. Imagination and beer are very helpful,” Ivins continues. “Like, what if there’s a Klan rally and the ‘Kluckers’ are coming to town? This happened about seven years ago in Austin. I mean, you can’t make them shut up. They’ve got a right to free speech, too, the nincompoops. So instead, we mooned them when they marched. What’s her take on Log Cabin Republicans? “I was at the Republican State Convention in Fort Worth a few years ago, when they’d been once again denied admission. I forgot which one of our fundamentalist divines — some preacher and his followers showed up with ugly signs. So I went and hung out with the Log Cabin Republicans. And bless their hearts, they have a perfect right to be Republican, if that’s what they really think. Despite the Jesus-flavored homophobia, Ivins remains optimistic that gay Republicans will eventually help change things for the better. ​“It seems easy to say that if you’re that worried about gay people, you must be insecure about your own sexuality,” Ivins says. “I don’t know enough about psychology to know if it’s true or not. Obviously, the fundamentalist Christians have fastened on gay people as somehow emblematic of everything they fear. People are real slow to let go of prejudice. But it happens over time. ​Daniel Kusner’s “Straight People We Love” column appears the fourth Friday of each month.